We are proud to sell and service the finest fluid power and motion control products from these leading manufacturers in the industry. 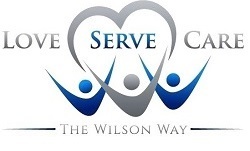 Supplying what you need, when and where you need it is a passion for Wilson Company. We have a vast inventory with the ability to deliver most products immediately. This combination of quality in-stock parts from leading manufacturers, service and repair expertise, and prompt customer service makes Wilson Company an excellent choice for your business. Take a look at the manufacturers we represent below or Contact Us for more information on product lines we distribute and service. To strengthen product offerings to our customers, Wilson Company forged an expanded relationship with Parker Hannifin. Parker Hannifin creates innovative motion and control solutions and insures the quality of their products. Wilson Company's close relationship with Parker Hannifin has allowed us to provide our customers with high quality products in a timely manner. Wilson Company has over $150 million dollars of accessible inventory for our customers. Our vast inventory allows us have the ability to deliver most products immediately to keep your business moving. Wilson Company offers customer specific, responsive, and cost-efficient inventory management solutions as well as advanced shipping options, such as same day shipping for in-stock products.